Motorola Droid XYBoard 10.1 is a bit better than the HTC Jetstream, with a general score of 6.7 against 6.69. 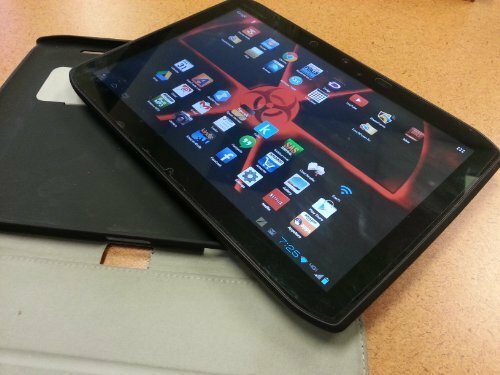 These tablets include Android OS (Operating System), but Motorola Droid XYBoard 10.1 has a newer 3.2 version while HTC Jetstream has Android 3.1 version, so it provides the user a lot of extra features and performance optimizations. Although Motorola Droid XYBoard 10.1 and HTC Jetstream were released only 3 months apart, Motorola Droid XYBoard 10.1 is somewhat lighter and notably thinner. Motorola Droid XYBoard 10.1 features a screen that is just as good as the HTC Jetstream one, and although the Motorola Droid XYBoard 10.1 has a bit higher resolution of 800 x 1280 and a just a little higher pixel density, they both have a screen of the same size. HTC Jetstream counts with a much better storage for games and applications than Motorola Droid XYBoard 10.1, and although they both have exactly the same internal storage, the HTC Jetstream also has a SD memory card expansion slot that allows a maximum of 32 GB. 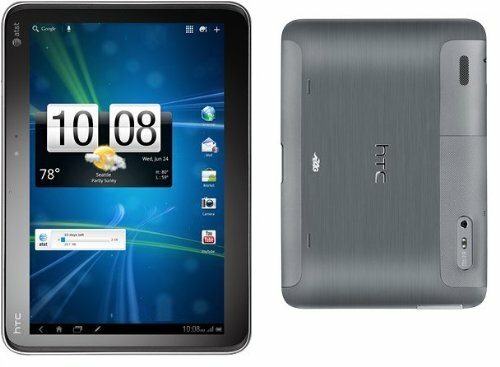 The HTC Jetstream counts with a bit more powerful CPU than Motorola Droid XYBoard 10.1, and although they both have 1 GB of RAM memory and a Dual-Core processor, the HTC Jetstream also has a much better graphics co-processor. HTC Jetstream and Motorola Droid XYBoard 10.1 count with similar batteries, although the Motorola Droid XYBoard 10.1 has a 4 percent lower battery capacity. Motorola Droid XYBoard 10.1 has a little bit better camera than HTC Jetstream, although it has a camera in the back with lot less MP resolution and a lot lower video resolution. Despite of being the best tablet between the ones we are comparing here, the Motorola Droid XYBoard 10.1 is also a bargain compared to the other ones.